Successfully saved Meal Prep Breakfast Bowls Greek Style to your Calendar. You can also save the ingredients to your Grocery List. 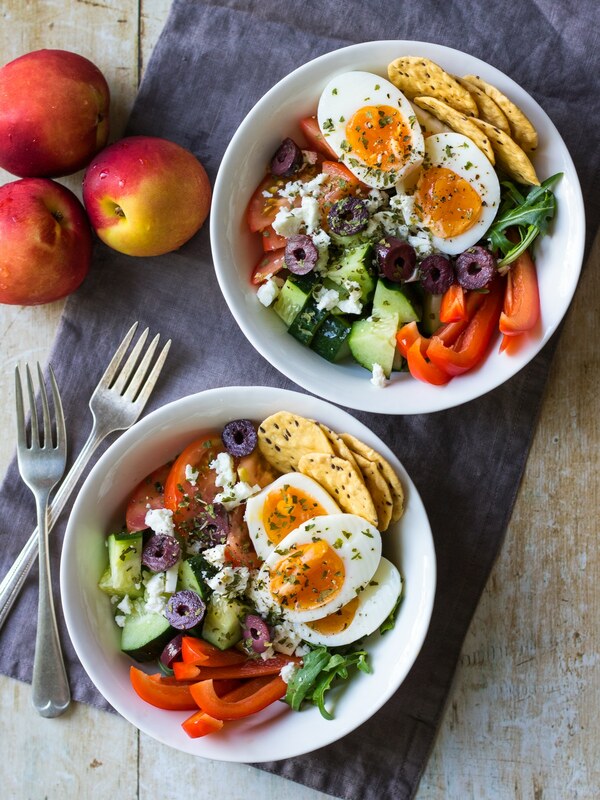 Meal prep breakfast bowls Greek style, combining boiled eggs with chopped cucumber, tomatoes, capsicum, feta and olives. Loads of fresh veggies and protein will give you the best healthy start to the day! Gluten free and sugar free.